With the 2018 effective date for the new revenue recognition standard issued by FASB quickly approaching, SC&H Group has pulled together a comprehensive series of industry specific resources. The following blog post summarizes revenue recognition concepts specific to construction contractors that must be considered to ensure their accounting policies are aligned with the FASB’s new standard. While the new standard will replace virtually all existing guidance for revenue recognition and supersedes construction specific industry standards under existing US GAAP and IFRS, the majority of contractors will not have to completely overhaul how they account for contract revenue. 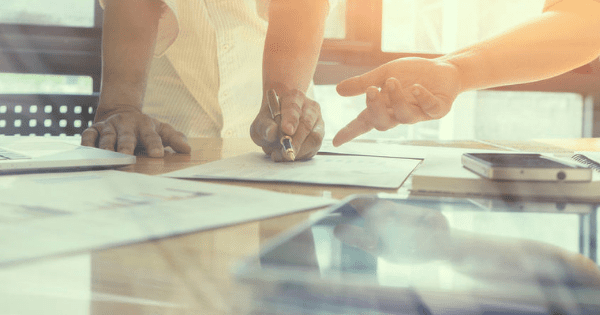 To implement this new standard and determine its impact, companies will start by following a five-step process outlined by the FASB. In the following post we take a look at each of these steps and how they pertain to contractors in closer detail. For construction contractors, typically entering into a written contract with a customer achieves the main criteria for this step. Before an arrangement with a customer is considered a contract under the new revenue guidance, a company must conclude that it is probable that it will collect the transaction price. The transaction price is the amount to which the company expects to be entitled in exchange for the goods or services that will be transferred to the customer as opposed to the contract price. To assess collectability, a company should evaluate the customer’s ability and intent to pay the transaction price when due. This amount may be less than the stated contract price if a company concludes that it has offered or is willing to grant a price concession or other discount. The revenue standard requires contracts entered into at or near the same time with the same customer be combined when certain criteria are met, such as: (a) the contracts are negotiated with a single commercial objective; (b) the amount of consideration in one contract depends on the other contract; and (c) the goods or services promised are a single performance obligation. On the flip side, this means that contracts with different customers can no longer be combined. A performance obligation is a distinct good or service provided by a contract. Although the majority of construction contracts provide goods or services that are highly interdependent and interrelated, which would be considered one performance obligation, companies need to evaluate their contracts to determine if more than one performance obligation may exist to ensure that they are in compliance with the new standard. For example, if a company is contracted to rebuild an office building, the contractor will perform demolition, pour the new foundation and floor, erect the framing, install plumbing and electrical systems, put up drywall, and perform the finishing work. In this case, the individual tasks are interrelated services—a series of inputs that results in one combined output (the rebuilt warehouse). Although the customer could likely benefit individually from many of these separate activities, the individual activities are not considered distinct within the context of the entire contract. This means that there is one distinct performance obligation in the contract that encompasses all of the highly interrelated activities. Series contracts (for example, a contract to replace the roofs for a group of buildings) may be treated as one performance obligation given that the services provided are substantially the same. However, if the buildings have different circumstances (for example: scope, access, mobilization), the performance obligations must be separated. Assurance warranties will typically be included with the original contract. Service warranties (for example, installation plus quarterly check-ups) will most likely need to be separated into performance obligations. Contract modifications such as change orders, claims, extras, or back charges, which are common in the construction industry, must be evaluated to determine if they represent separate performance obligations. A change order is a contract modification, so the contractor will need to determine whether the change order should be accounted for as a separate contract or as part of the existing contract. If a change order is distinct and has a stand-alone price, it is considered a new contract and accounted for as a separate performance obligation. However, if it is a continuation of the contract, and the goods or services are not distinct from the existing contract, it should be accounted for as a cumulative catch-up as if the change order was in place from the inception of the contract. However, in order to revise the contract price for this change order, the parties need to have approved the change order, preferably in writing. If the parties have not approved the change order, the company should not include the amount of the change order in the contract price. The transaction price (or contract revenue) is the amount the contractor expects to be paid in exchange for satisfying its performance obligation. For contractors, this will typically be the contract price in a contract. However, the determination of the contract price may require additional analysis if there are expected change orders or other provisions in the contract that are unknown at inception that will either increase or decrease revenue. Common provisions include claims and liquidated damages clauses, penalties, and incentives or awards. Management’s best estimate of the impact of such change orders and provisions should be included in the transaction price. This new approach will require careful documentation and support to provide an audit trail for the decision-making process. Any significant changes in the expected transaction price would be accounted for in the current reporting period. For the construction industry, unless you determine you have multiple performance obligations, this step will not be necessary. For contracts identified with more than one performance obligation, you should allocate the transaction price to each obligation based on what you would charge if it was a stand-alone project. For example, if a contractor has a contract to build an airport terminal and runway for $125 million and they are considered separate performance obligations, an allocation needs to be made for each stand-alone project. If the terminal would have been estimated as $110 million and the runway at $20 million on a stand-alone basis, the contract price would be allocated as follows: Terminal: ($110/$130M) * $125M = $105.7M and the Runway: ($20/$130M) * $125M = $19.3M. A customer receives and consumes the benefit of the company’s performance as the company performs. The company’s performance creates or enhances a customer-controlled asset. The company’s performance does not create an asset with alternative use to the company but the company has an enforceable right to payment for performance completed to date. A performance obligation is satisfied at a point in time if it does not meet the criteria noted above. Progress is then measured by using either the input or output method. The input method recognizes revenue on the basis of the efforts or inputs to the performance obligation, such as resources consumed, labor hours expended, costs incurred, time lapsed, or machine hours used relative to the total expected inputs to the satisfaction of that performance obligation. A company would not recognize revenue on the basis of costs incurred that are attributable to significant inefficiencies in the entities performance that were not reflected in the price of the contract (for example, the costs of unexpected amounts of wasted materials, labor, or other resources that were incurred to satisfy the performance obligation). The output method recognizes revenue on the basis of direct measurement of the value to the customer of goods or services transferred to date versus the remaining goods promised under the contract. This may include surveys of performance completed to date, appraisals of results achieved, milestones reached, and units produced or units delivered. In the construction industry, control is often transferred over time, therefore, the majority of performance obligations will be measured over time as control is transferred using the input method. This method is consistent with the percentage of completion method under the existing accounting standards. Certain service and maintenance contracts may include variable consideration, such as incentive provisions and milestone achievements, which should be evaluated to determine how the performance obligations are satisfied and which method should be used to recognize revenue. Incremental costs of obtaining a contract that are recoverable should be capitalized and expensed over the life of the contract if the contract is expected to exceed one year. These costs include sales commissions, bond premiums, and mobilization costs (costs that would not have been incurred if the contract had not been obtained). Costs incurred that would have been incurred regardless of whether the contract was obtained (i.e. certain bid costs) are recognized as an expense when incurred unless explicitly chargeable to the customer regardless of whether the contract is obtained. Contract fulfillment costs related to a contract or an anticipated contract should be amortized if the contract period would be more than one year. These costs should be periodically reviewed for impairment. Uninstalled materials should be excluded when measuring progress on a contract. The costs cannot be recognized on the contract until the owner takes control and profit cannot be recognized until installed. Therefore, more contractors may be recording inventory on their books than previously under the old standard. For example, if a large piece of equipment is delivered to a job site but not installed at year-end, this cost must be excluded when determining the percent complete on other aspects of a job. Contractors should record a “contract asset” if goods or services are delivered to a customer before the customer pays for it. A “contract liability” will be recognized if a customer pays prior to the contractor delivering goods or services to a customer. This is similar to the “costs in excess” and “billings in excess” under the existing accounting standards, however, under the new standard, a company must present any unconditional rights to consideration as a receivable, separate from any other contract assets. Therefore, certain amounts previously included in “costs in excess” may need to be presented as a receivable under the revenue standard. Termination for convenience provisions might limit the term of service-type contracts. Losses on uncompleted contracts are still accrued but not required on contracts less than one year in duration. Certain additional financial statement disclosures will be required, however, the new standard offers some relief for non-public companies. Disclosures may include: disaggregation of revenue, information about changes in contract assets and liability balances and contract costs, and information related to the amount of the transaction price allocated to performance obligations not yet satisfied. The IRS has not indicated that they will follow the new standard at this moment which may result in new book-tax differences that did not previously exist. Read and inventory your contracts. Pay special attention to different performance obligations or variable consideration arrangements as well as any service warranties. Ensure that procedures exist and the accounting system is capable of tracking costs separately should multiple performance obligations exist. Ensure that procedures exist to identify multiple performance obligations before work begins, so that costs can be tracked separately. The new guidance allows companies to select between 2 methods of transition upon adoption – full retrospective or a modified retrospective approach. Using the full retrospective approach, a company would restate all periods presented as if they had accounted for revenue under the new standard originally and comparative periods would be restated. Using the modified retrospective approach, a company would record a cumulative effect of initially applying the new standard at the date of initial adoption. Under the modified retrospective approach, the ASU would only be applied to the existing contracts with remaining performance obligations as of the date of adoption and any new contracts entered into after the date of adoption (i.e. January 1, 2018 for non-public companies with a December 31 year-end). The modified retrospective approach would not change the accounting for contracts already completed (contracts with no remaining performance obligation) prior to the effective date. The cumulative adjustment to the opening balance sheet would be recorded in retained earnings and disclosures will be required to explain the differences in each financial statement line item resulting from the adoption. Comparative periods, however, would not need to be restated. It is expected that most contractors will be utilizing the modified retrospective approach. Nonpublic entities are required to adopt the new standard for annual reporting periods beginning after December 15, 2018 (December 31, 2017 for public entities). Implementation is to be done on a retrospective basis, so organizations should understand and account for revenue under the new standard at least a year in advance. As a result of these standards entities need to reassess their current revenue accounting and determine whether changes are necessary. SC&H Group is here to help as you are navigating the best next steps to pursue. If you have any questions about revenue recognition specific to the construction industry please Contact Us.